Since the first Oculus Rift virtual reality headset prototype, people have breathlessly asked, “When will a consumer version be ready?” Oculus played coy and stuck to its guns. When we think it’s ready, they said. 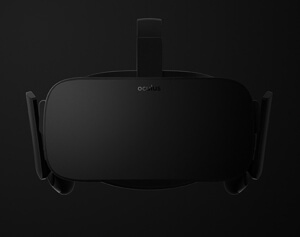 In a blog post this morning, the Oculus team announced the Rift will ship to consumers in the first quarter of 2016, with preorders beginning later this year. What does that mean? It means they’re satisified with the experience (or at least expect it to be satisfactory by 2016). And that includes more than just the hardware. 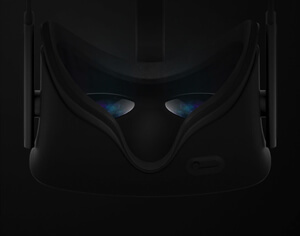 The announcement notes the Rift will bring “compelling content, a full ecosystem, and a fully-integrated hardware/software tech stack designed specifically for VR.” Of course, to say this will be an entirely new experience for everyone would be overstating things. In the last few years, the team has sold several earlier prototypes (or developer kits)—many have had the chance to get a taste of what’s on offer here. That said, the consumer version will smooth away the rough edges, improving on the latest Crescent Bay prototype with better tracking for use in seated and standing positions, a “highly refined industrial design,” and a more natural, ergonomic fit. Expect more specs about the system soon (next week), and details of as yet unannounced virtual reality games and other experiences designed specifically for the Rift. The Rift won’t be the first to the party. You can already buy the Samsung Gear VR smartphone-based VR headset (developed in partnership with Oculus). Valve’s HTC Vive is expected later this year. And Sony says is also targeting 2016 for its Morpheus headset. Others will jump into the market too. But the Rift, the system that called this little get-together, may be the most anticipated of the lot. Whether they live up to the hype remains to be seen, but one thing looks certain—we’ll find out in 2016.